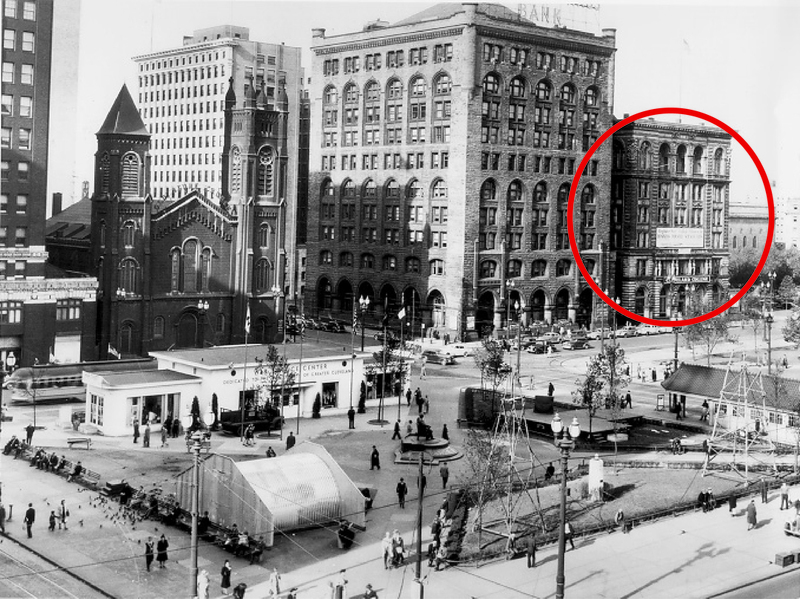 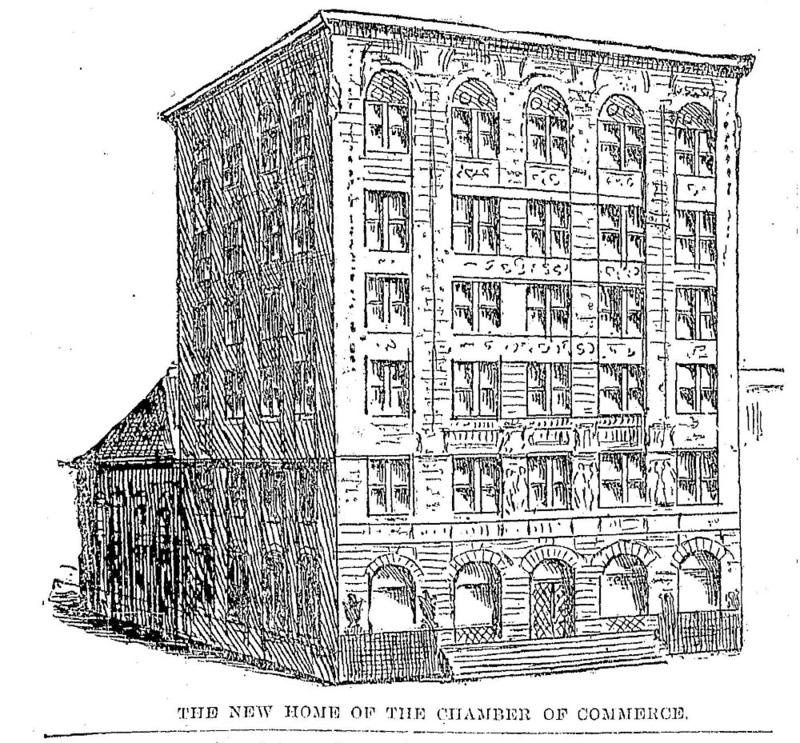 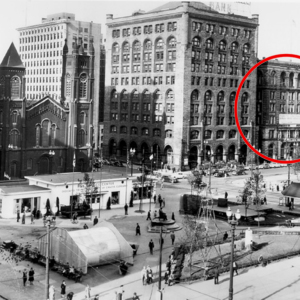 In 1898, to the patriotic glee of 40,000, the city of Cleveland ceremoniously unveiled its new Chamber of Commerce Building. 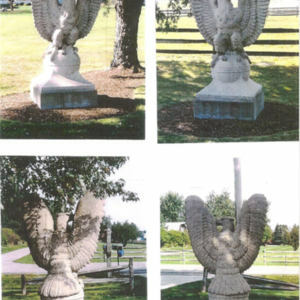 And there to greet the cheering masses and decorated soldiers were 4 granite eagles, masterfully carved by Joseph Carabelli. 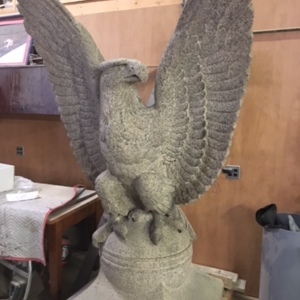 Carabelli was an Italian immigrant who settled in Little Italy and started the Lakeview Monumental Co. where he carved many of the magnificent headstones in Lakeview cemetery. 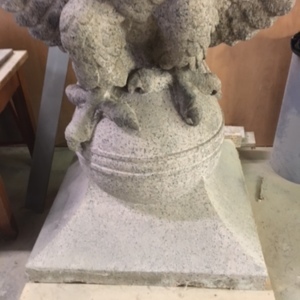 His marble cutting and granite carving abilities were peerless, as is apparent when looking at the grand eagles. 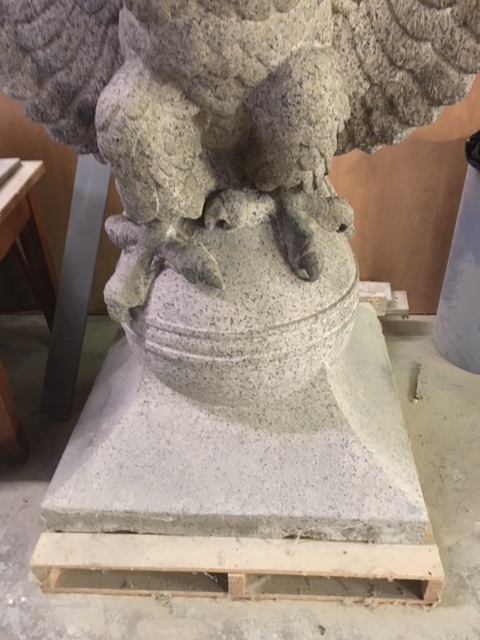 Their noble faces peer off to either side. 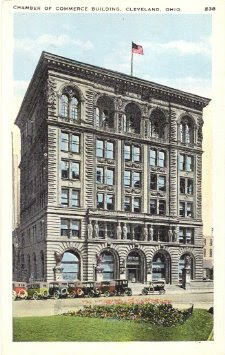 Their features are strong but not heavy-- rather, they are valiant and graceful. 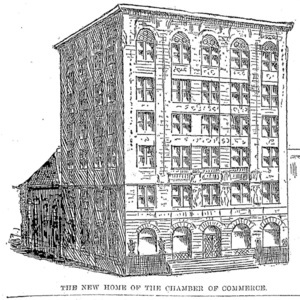 Each eagle's strong brow gives it an air of vigilance and gravity, while their cascading feathers are a reflection of the grandeur they once protected: the Chamber of Commerce Building. 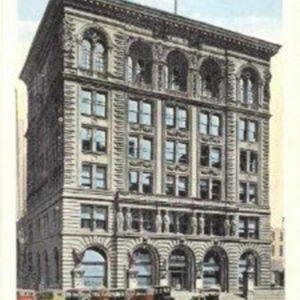 The building, at the time of its construction, was lauded as "magnificent" and "rich in detail", adorned with caryatid columns and tall, arched windows. 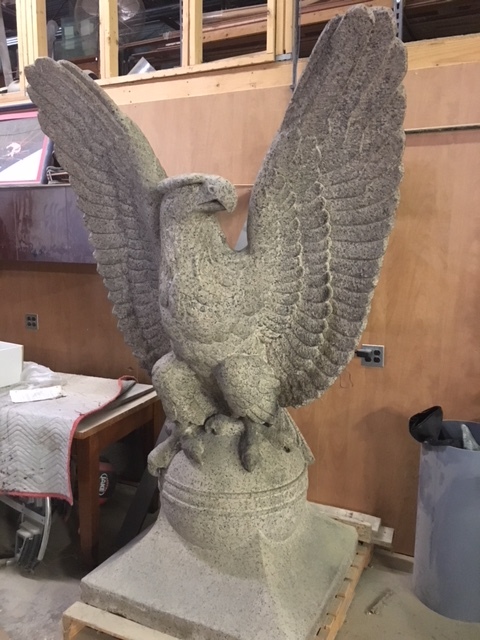 The eagles were originally perched on a low wall that ran along the edifice of the building, but in 1955 they were removed, as a result of the buildings demolition. 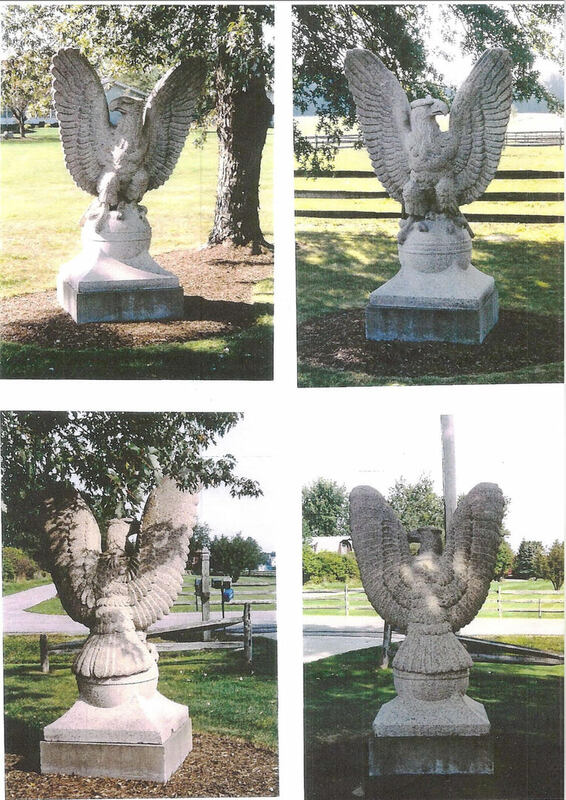 The 2 eagles, after standing outside a private farm in Geauga Township, are now on sale as of January 23, 2018. 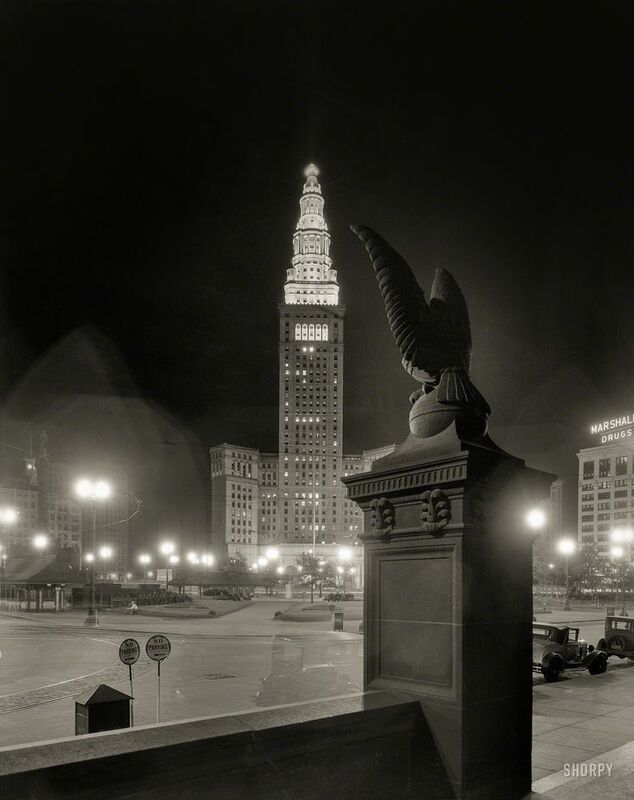 Cleveland City Hall "is aware of them and longs for their majestic return to the area." Location: At the site of what is now Key Tower, outside the Chamber of Commerce Building, Rockwell Ave.
: Joseph A. Carabelli, “The Eagles (Removed),” Ohio Outdoor Sculpture Inventory, accessed April 22, 2019, http://oosi.sculpturecenter.org/items/show/1525.